Can't we just put an end to this already? Surprise! 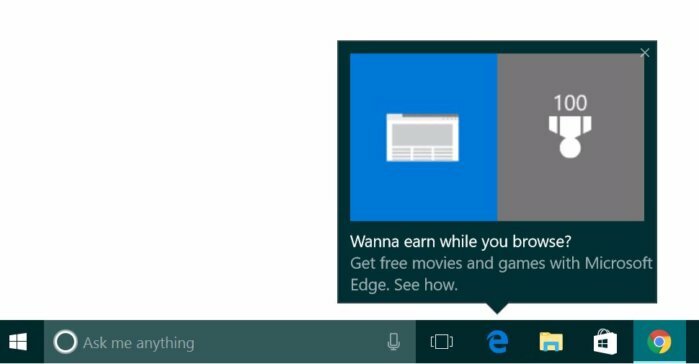 Microsoft’s at it again, reminding users to sign up for Microsoft Rewards (formerly Bing Rewards) by using Edge, Windows 10’s built-in browser. My colleague Brad Chacos was hit by the ad above after hours, reported it, and immediately erased Edge from his taskbar. 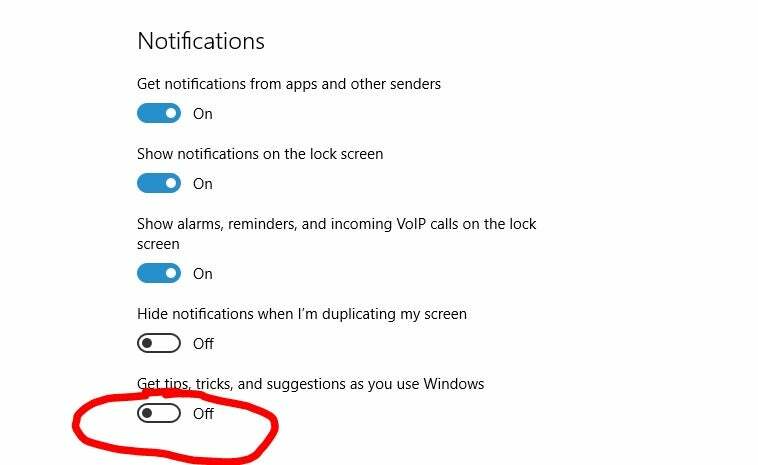 To prevent seeing the Edge popup, Microsoft says to go to Settings > System > Notifications & Actions and make sure this toggle is "off". 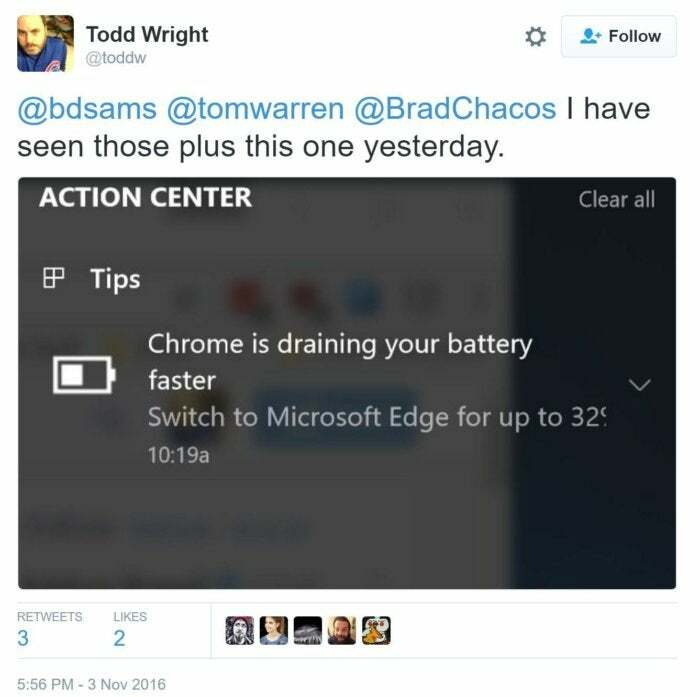 And that’s not the only Edge promo that Microsoft is slipping in, either. Maybe an ad isn’t the worst thing in the world. But we can all remember the mind-warping rage Microsoft’s Windows 10 “reminders” engendered: first a ”Recommended” update, then repeated nagware, then an outrageous reversal of conventional UI that made clicking the red-x Close button to escape the upgrade an opt-in to kick off the upgrade process itself. 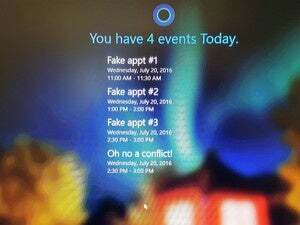 Say what you will about the Windows 10 OS and its nosy assistant, Cortana—that’s entirely different from Microsoft’s tactics for invading your desktop to remind you to try out a new service. Microsoft could not be reached for comment on Thursday afternoon. I personally like Bing and Bing Rewards: if you’re going to search the web, you may as well let Microsoft buy you a cup of coffee. With enough activity, you can pretty much pay for a year of Xbox Live Gold. I also think Microsoft Edge was one of the most underrated features in Windows 10’s Anniversary Update. It was simply awful when Windows 10 launched but has steadily improved since then. Other users haven’t been nearly so patient, leaving both of Microsoft’s browsers, Internet Explorer and Edge, in droves—by Computerworld’s calculations, a whopping 300 million or so users since January. That’s a third of a billion users who have chosen Chrome, Firefox, Opera, or one of several other smaller browsers instead. I’m on record as someone who called on Microsoft to promote its new Office features—in part, to justify users' paying a monthly fee for Office 365. If Microsoft hadn’t so egregiously crossed the line with its upgrade reminders, I’m not sure how many users would care. But there’s a middle ground between promoting new features and respecting users. Microsoft’s tried a number of tactics to bring users back to the Edge fold. In addition to the carrot of Microsoft/Bing Rewards, it’s tied Cortana to Bing and the Edge browser. It’s slowly added the extensions other browsers have featured for years. It’s also tried gimmicky features like the ability to ink a Web page, which probably haven’t done much to win fans. Turning on ads after a user has turned them off, repeatedly: Come on. There’s always been some part of Microsoft that can’t resist crossing the line: Think “Scroogled,” or “astroturfing.” Privately, other Microsoft employees have said they’re embarrassed by it. It may seem a bit petty to get up in arms about a small Edge promotion. But we’ve gone down this road before, and there’s a lot of us that want to ensure we never do again. A previous version of this story misidentified Microsoft Rewards as Bing Rewards, its former name. 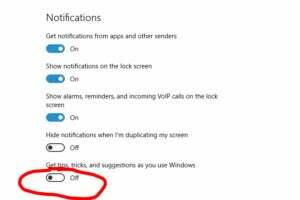 We've also updated the story with Microsoft's instructions for turning off the Edge popup.